In addition to our Virtual Concierge Desk - a "benefit in kind" personal concierge service for employees; we also deliver business-related solutions for corporate clients including: Marketing, Proofreading, Event Management, Coaching, Project Management, Business Software Implementation and Business Travel Services. Whether you're looking to improve productivity, reduce staff turnover and absenteeism, reward and recognise key players, or simply wish to differentiate yourself from your competitors and position yourself as a "forward thinking", "caring", "preferred" employer in your Industry. CanDOO Concierge can put together a tailor-made package of services to meet your needs. Employees spend an average of 36 minutes per day at work on personal tasks. 26 of Fortune Magazine's "100 Best Companies to Work For" offer Personal Concierge Services. 85% of these employers find that a benefits program that helps employees balance work-life is the most important way to retain employees. Despite the current economic climate 75% of employers named employee retention as their top benefits objective. By outsourcing the personal tasks and errands of your employees to CanDOO Concierge, you'll be leaving your workforce free to concentrate and focus on the job in hand; as well helping them to achieve a better work-life balance. A happy employee means a motivated, satisfied, positive worker. Our Virtual Concierge Desk is a benefit that will save your business far more than it costs. 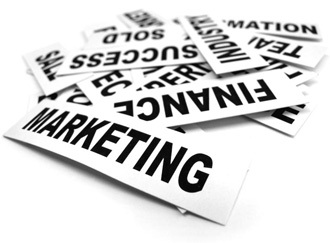 We specialise in delivering marketing solutions to SME. Lisa Forbes (Director of CanDOO Concierge) has been a Chartered Marketer since 1995, and will bring a wealth of experience and expertise to your Company. Whether you're in need of a new brand identity and logo; or brochures, leaflets and business cards producing, we can help. We also offer one-to-one help getting started with Twitter and other Social Media Marketing tools. It's always very difficult to spot errors in copy that you have produced yourself. First impressions count, so have your advertising, website, emails and documents proofread by a professional, our fresh pair of eyes will ensure the elimination of errors in your written communications. From small-scale parties, exhibitions and team building days, to training workshops and large-scale conferences, we CanDOO them all. Outsource your whole event, or just a few key components such as venue search and select; booking keynote speakers, arranging catering etc. Whatever our role is we'll take full ownership of our tasks, leaving you free to concentrate on your core profit making business. Through our coaching and mentoring programme we can help your business achieve its full potential. Coaching is motivational and enjoyable, and takes the form of observation, talking, listening, questioning and reflection. 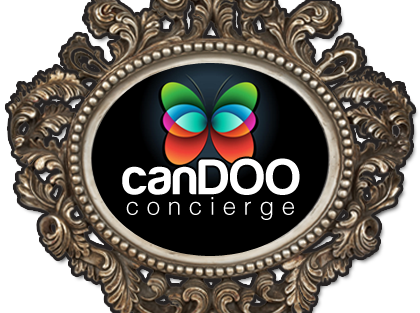 Our CanDOO Concierge Coach has 26 years experience in industry, coaching, mentoring and counselling staff through change and for performance; dealing with both work and personal life issues. She has 100% success rate on competency based job applications, and has most recently applied her skills at a leading international bank. You'll receive a high level of support, attention and commitment from us. Any business can save time and money by improving the way in which its projects are planned and managed. Project management is all about getting things done efficiently and effectively and is therefore a powerful business (and personal) skill for anyone to have. Whether you would like training in the essentials of project management, a hands-on project planning workshop or even someone to plan and manage a project for you, with over 20 years experience of working on projects, the CanDOO Concierge Project Manager can provide this for you. We can also undertake a project health-check and, if necessary, help you improve your project processes. When selecting and implementing software to help you run your business it is essential to get it right first time, but it can take a lot of time and effort. If you haven’t got sufficient time it is likely that corners will be cut or the day-to-day work will suffer, which may cause problems later on. Whatever the nature of your business or the type of software needed, CanDOO Concierge can help. Drawing on over 20 years experience, our Software Implementation Specialist can guide you through the selection and implementation process and do some or all of the groundwork for you, enabling you to stay focussed on your core business. If you already have software implemented but, for example, are not realising the benefits you were expecting or want to know whether you are using the software to its full potential, we can help you by assessing how you could get more out of your software. We can also, if required, help you to implement any of the recommendations. We excel at organising and arranging travel, transport and hospitality. Please see our Travel Concierge for further information. The rates for our business services differ from our general pricing plans, so please get in touch for more information.